BAFTA Award-winning actress Monica Dolan will return to the Bush Theatre as part of an exciting new 2018 season of 8 plays, which reaffirms the venue’s commitment to discovering the best new playwrights from the widest range of backgrounds with 3 world premieres. Opening the Bush Theatre season, writer and theatre maker Javaad Alipoor presents his 2017 Scotsman Fringe First Award winning play, The Believers Are But Brothers (24 January 2018 – 10 February), a bold one-man show exploring the murky world of online extremism, anonymity and hate speech. This is followed by the return of The B*easts (12 February – 3 March), written and performed by Dolan, whose previous credits include W1A, Appropriate Adult and The Witness For The Prosecution. Following a hit run at the Edinburgh Festival Fringe 2017, she returns with her first play, a dark tale which poses a searing ‘What If?’ question to the pornification of our culture. Misty (15 March – 21 April) then arrives at the Bush Theatre, written and performed by Arinzé Kene, whose credits include playing Simba in The Lion King, as well as roles in Girl From The North Country at The Old Vic and One Night In Miami at the Donmar Warehouse. 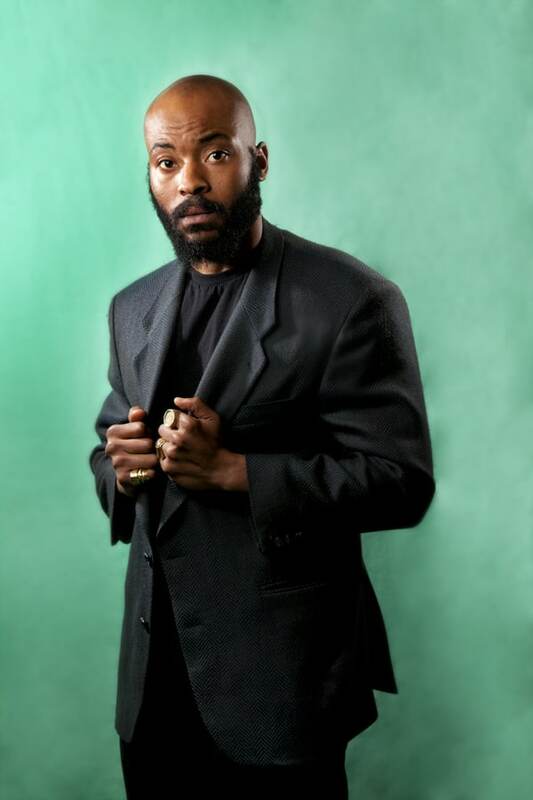 In Misty, Arinzé delivers an epic, lyrical journey through the pulsating heart of inner city London, in an inventive blend of gig theatre, spoken word, live art and direct address. The Bush Theatre’s Artistic Director Madani Younis then takes the directorial helm for Leave Taking (24 May – 30 June), a moving account of a second generation immigrant family penned by Winsome Pinnock, the first Black woman to have a play produced at the National Theatre. Younis then also co-directs the world premiere of An Adventure (6 September – 20 October) by Vinay Patel, a love story spanning seven decades and three continents, inspired by the experiences of Patel’s immigrant grandparents. The world premiere of Ben Weatherill’s coming-of-age drama Jellyfish (26 June – 21 July) follows, a unique modern British romance in which a mother struggles to understand the needs of her maturing daughter with Down’s Syndrome, and the UK premiere of Estelle Savasta’s Going Through (3 October – 3 November), a poetic and touching story of one girl’s journey through adolescence which seamlessly blends English and British Sign Language. Finally, touring company Antler return with Lands (13 November – 8 December), an absurd tragicomedy which makes a transfer from the Edinburgh Fringe scene. The show explores the impossibility of relationships and our inability to understand one another. The Shepherd’s Bush venue has also announced the launch of Passing the Baton –a 3-year programming initiative dedicated to revivals of work by BAMER artists, beginning with Leave Taking and including a mentoring scheme to nurture the next generation of BAMER writers. For more information and tickets, please visit the Bush Theatre website.